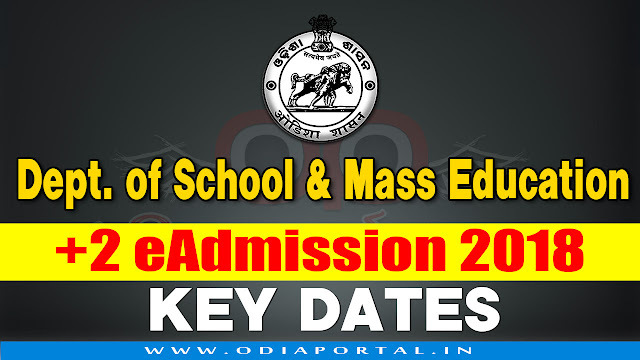 School & Mass Education Department has published official notification about +2 e-Admission for the Session 2018-19. Following dateline has been finalized for e-Admission in all Junior Colleges including Self Financing (Junior) Colleges/ Vocational Colleges/ Sanskrit (Upashastri) of the State under project Student Academic Management System (SAMS). In this process, the applicants need to fill the Common Application Form (CAF) for admission into +2 classes and take a printout from the computer & deposit at any of 661 SAMS Resource Centers (SRC) along with relevant documents and fees. The above information is wrong. Final date are not officially published yet. Please contact helpline no and give us right information. Update your page as soon as possible. Don't misguide any student.